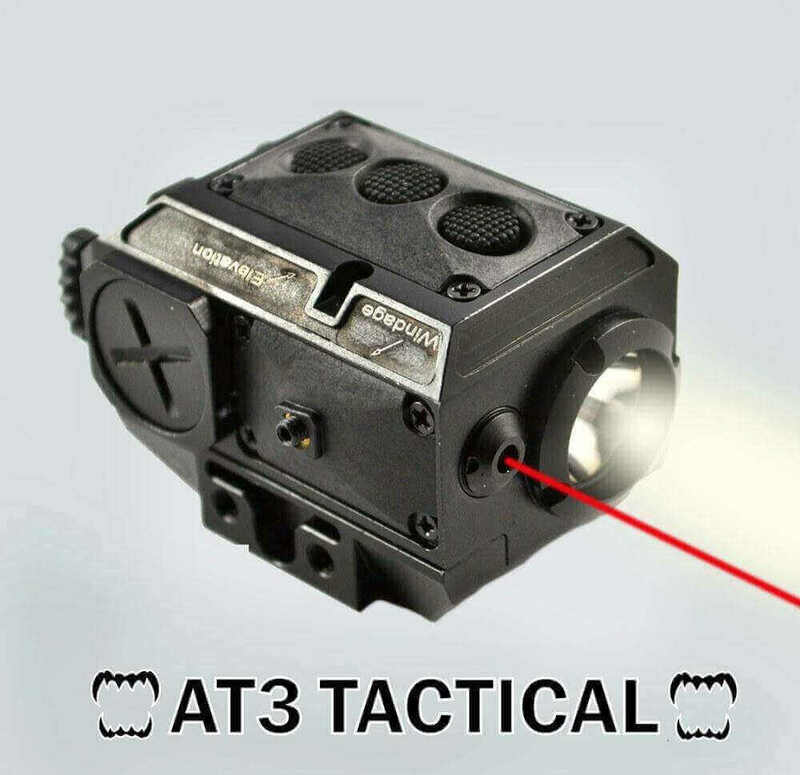 The AT3 Tactical Light & Red Laser Combo LL-02R features an accurate red laser and a blindingly bright 225 Lumen light. The LL-02R features a 225 max lumen LED weapon light with a strobe function. Easy to operate – 3 buttons switch between laser, light, laser light, and toggle the strobe on and off. Recoil tested on everything from a .22 pistol to a 12 gauge, with an anodized aircraft aluminum housing. Will fit Picatinny, Weaver rails or any other 20MM accessory rail. This quality flashlight/laser unit is perfect even on smaller handguns like the Springfield XD, Sig P226, or Glock 19. as well as rifle rail systems or shotgun mounts. Love it.... One touch lights up an entire room without compromising full grip control of firearm. Awesome light, Awesome customer service! Waiting for them to have more in stock to get some for my other toys.